Run around summer camp in these comfortable Camp Alleghany shorts by Soffee. The 50% cotton/50% polyester shorts are a great fit with an elastic waistband. The shorts have the Ghany logo printed on them and decorative slits are on each outer side. 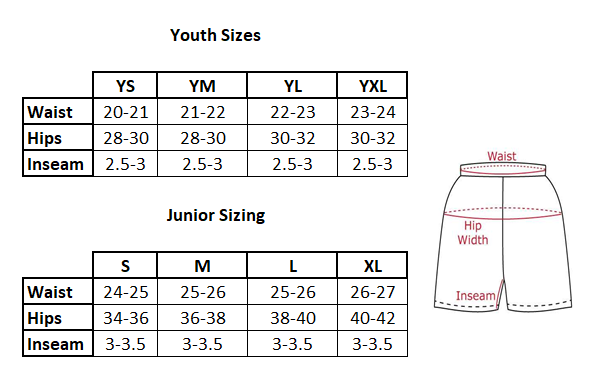 They have a 3” inseam and are available in youth and adult sizes. Materials: Stitched 50% cotton/50% polyester shorts with elastic waist. Camp Alleghany logo on left leg. Small side slits decorate each side.